stations to ensure your comfort and safety. 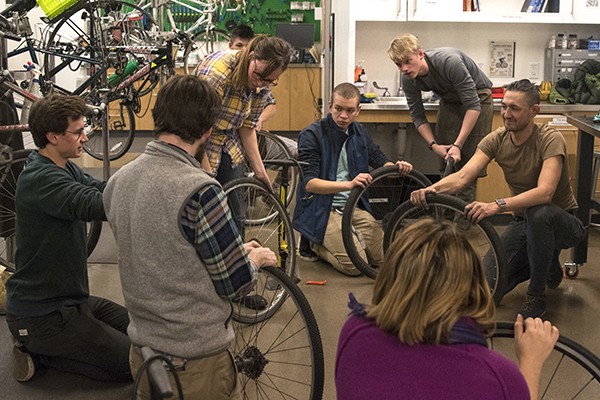 The Bike Program offers a do-it-yourself maintenance workspace for all UO students who want to work on their bikes. The DIY space has work stands, tools, and “how-to” books that students can use for free. Student staff are always on-site to help you navigate the space. Come visit us and keep your bike in good condition all year. Rent a bike for a day, or an academic term. Want to explore Eugene or bike the river path? We rent single and multi-speed bikes for around town day usage. Exploring further? Reserve a touring trip bike for your next adventure. 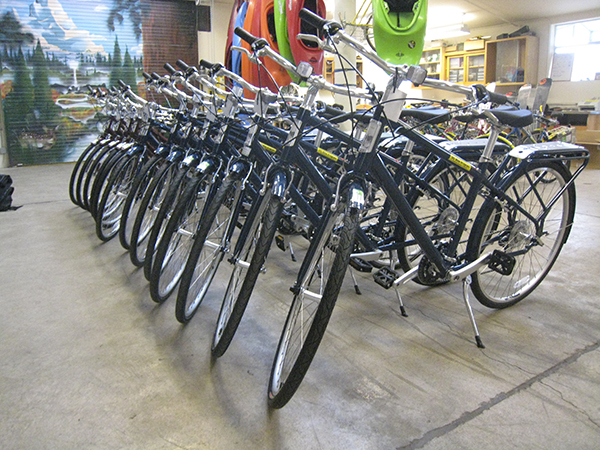 We also offer a fleet of bikes for group rides. All rental bikes come with a u-lock, helmet, and either a basket or rack to carry your gear. Need a little instruction before you're ready to go out yourself? We’re excited to offer a range of courses that empower you to feel comfortable repairing your own bike. 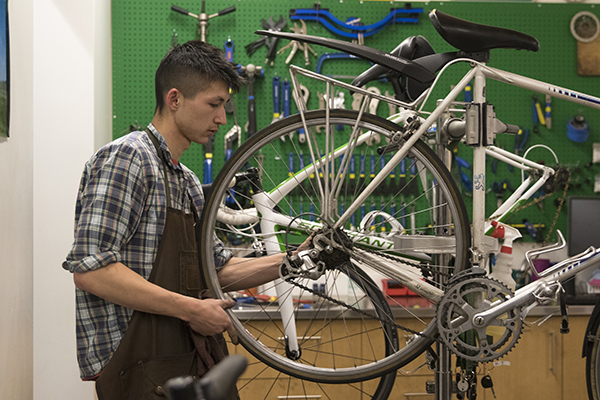 We offer hands-on instruction in the Bike School, an all-inclusive, six-week overhaul course, as well as one-night clinics including women’s, transgender, femme nights, and seasonal workshops.